The Green Girl's niece was in town this weekend so the Green Girl skipped her 19 mile run in the scorching Southern California heat. To avoid the record breaking temperatures, we stuck to indoor activities. 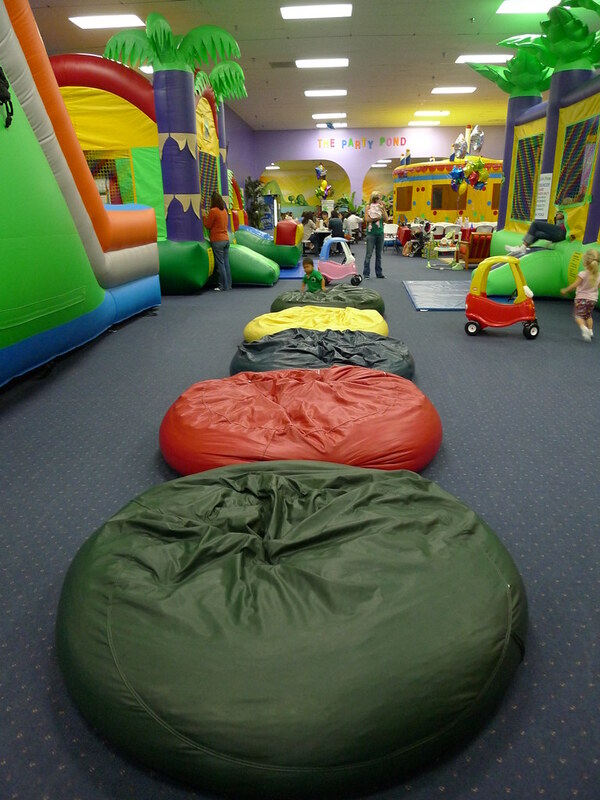 The weekend started off at Frogg's Bounce House where we bounced and slid down giant slides to our heart's content. 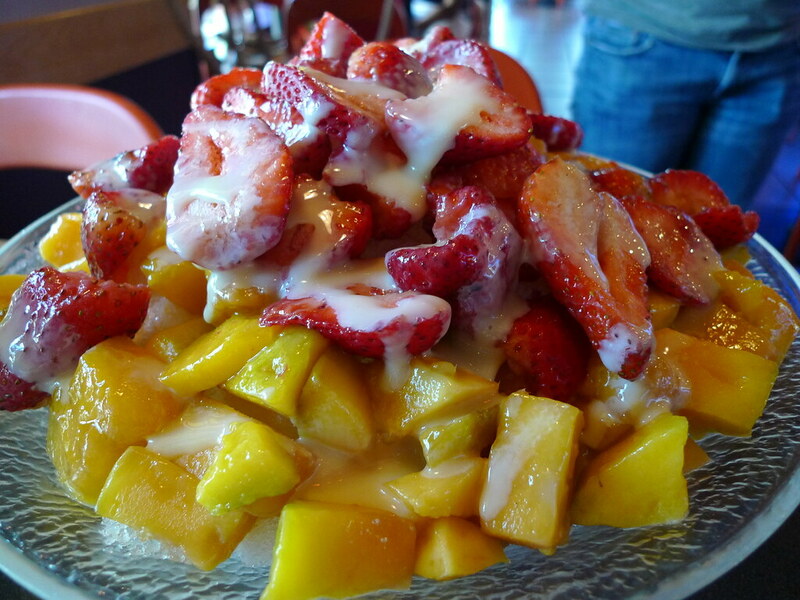 We stopped by Guppy Tea House for some refreshing shaved ice with mangoes, strawberries, and sweetened condensed milk. We collected foam balls to shoot at each other at Seascape Kids Fun and had some fun in the sun at Splash! La Mirada Regional Aquatic Center. We climbed and maneuvered our way through obstacle courses at Jump 'n Jammin. We went down to the Orange County Great Park for a free ride on the Great Park Balloon. The 1,300 acre site of the Orange County Great Park was formerly the Marine Corps Air Station El Toro. There was nearly a decade of political debate over the future of the military base. Local residents overruled construction of a commercial airport but finally voted for a park in 2002. Even with the passing of the park measure, controversy has continued to surround the project due to lack of development progress compared to the amount of funds being spent. 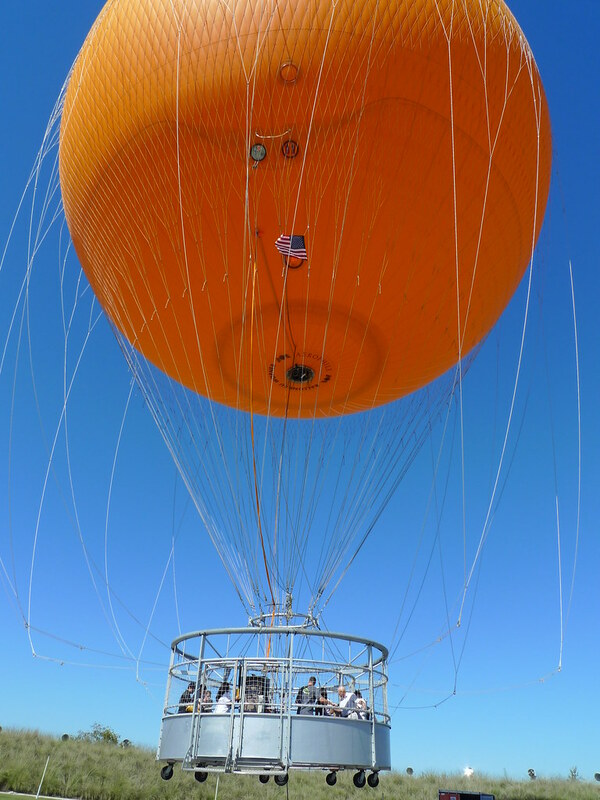 The Great Park Balloon is a large, tethered helium balloon that takes passengers 400 feet above the geographic center of Orange County. 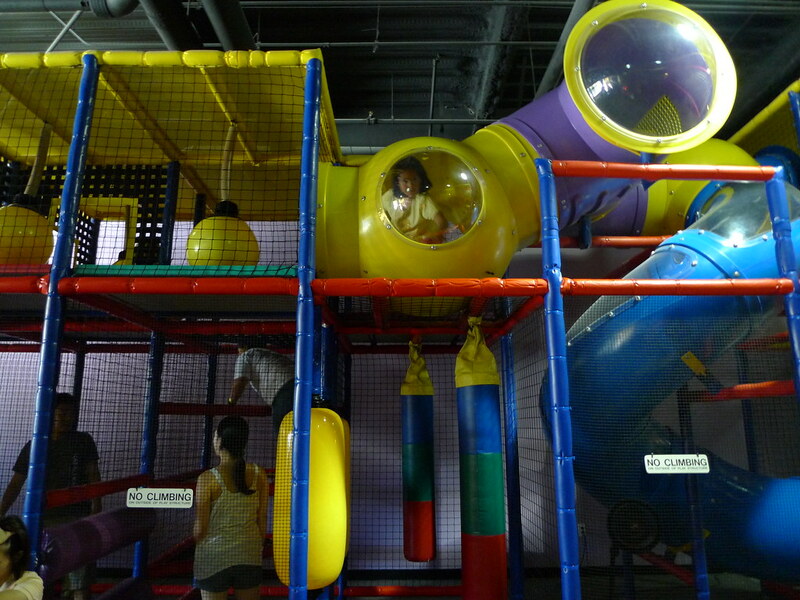 We finished off the weekend at a McDonald's PlayPlace before my niece had to head back home. Wow! You guys did a lot of fun stuff! Yay! I remember MCAS El Toro well- my father was stationed there when I was a kiddo. Good memories. *drool* That shaved ice looks absolutely heavenly! Color me green with envy! wow, it looks like y'all had tons of fun! i needed you for an aunt when i was little! isn't it great that we can still be kids ourselves sometimes just by being around kids again? What a great time - you're such a fun auntie!! Sounds like a very fun weekend!! It sounds like you two had a great time!